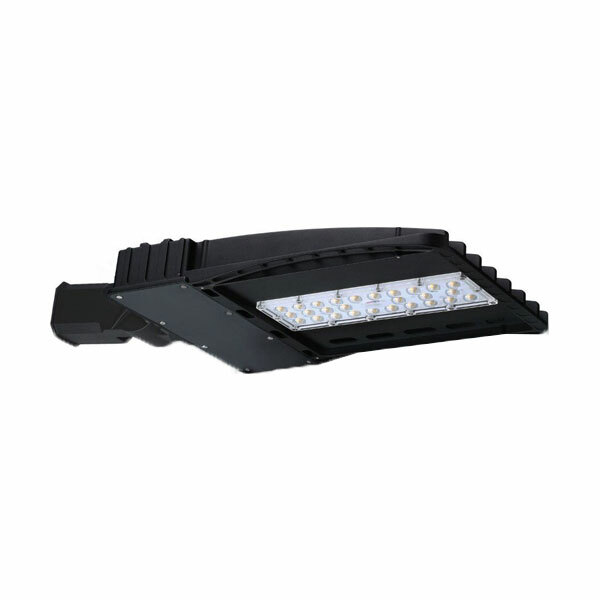 The XF Series high powered LED Street light is designed for Parking areas or urban roadways. Top spec Philips LEDs, a choice of beam angles combined with excellent thermal management and a corrosion resistant coating make the ST-XF 60 watt or 100 watt fxtures suitable for many post mounted lighting applications. Wall mounting brackets are also available.